You might have noticed Google search results includes information about the author. It has a link to the Author’s Google Plus Profile and it also displays the Author’s Profile Picture.This tutorial will guide you in doing the same with your Blog. How to Make Google Know that you are the Author of a Blog ? This process involves kind of a two way verification. In your blog you should tell the Google Crawlers that this guy with this Google Profile is the author of the entry. Now Google has to verify that the Blogger has provided the correct Google Plus Profile.So it will see if that guy’s Google Plus profile links back to your Blog. If it does, then Google can confirm that he/she is the author and it may display his/her profile information in the Google Search Results. Note: Even of you do all this, there is no guarantee that Google will display your Profile Details in search. a. For a Single Author Blog. Now we have to help Google in conforming this.To do that your Google Plus profile should link back to your Blog’s home page. So Edit your Google Plus Profile and add a link to your Blog’s Home Page. Now you have successfully completed the steps. Read the last part of this post to know how you can verify if you did everything right. b. For a Multi Author Blog. The method is almost the same for a Multi Author blog as well. The only difference is that each post on the Multi Author Blog should link to the corresponding author. If you are not good with Blogger Template Codes, then you can manually add the Google Plus profile link to each Post(so that each post will link to the corresponding author’s Google Plus Profile). If you are good with the template codes, then you can use the following code. Author1Name and Author2Name should be replaced by the name of the Authors(their Blogger Name). The red links should be replaced by the Google Plus Profile link of the corresponding Author. You can change the green text to anything you want. If you have more than 2 authors, you can just repeat the repeating block. (I have commented it so that you can properly identify the repeating one). 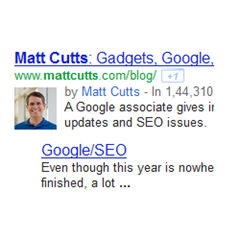 Now each of the Blog Author’s Google Plus Profile should link back to your Blog’s home page. You can use the Rich Snippets Testing Tool to verify if you have done everything properly. Give a post URL in the text box at http://www.google.com/webmasters/tools/richsnippets and preview how your page will appear on the search engine. You should see something like this when you do a preview. not work for my blog, why??? I have put the code in my template.. Even if you succeed in verifying.Google won't show the picture. Thanks for this. It really help me set this up on my blog. You forgot to mention the important headshot. One must have a good headshot of himself or herself on Google+. Only then Google will consider adding one's profile pic in their search results. But then again, it all depends on Google. Having a good headshot does not guarantee anything. It all depends on your authority, I guess. Great works first time! I'm new to coding do I need to do this within every page post? so when I create a post I add this code? also my home page template shows the post HTML literally how could I change this? I've put this script in http://djendral-berbagi.blogspot.com/ and hopes to work well. But how to add star rating in search results? Dude you rock 3 cheers for you !